And perhaps the odd negative. First up, I’m “Fabulous”. Who knew I was hoarding that many items of clothing. With the exception of my Shaman, everyone else is hiding shoulders and is likely to be doing so for the foreseeable future. I’ve also found so many things I didn’t know I had like the scythe off Ahune and the Blessed Leggings of Undead Slaying. The changes to the Toybox have given me lots more bag spaces as well as the Robo-Gnomebulator. Gnome Hunters…every baby Gnome I encountered at the start zone had a mechanical Bunny in tow. Snow has decided to go back to her roots. 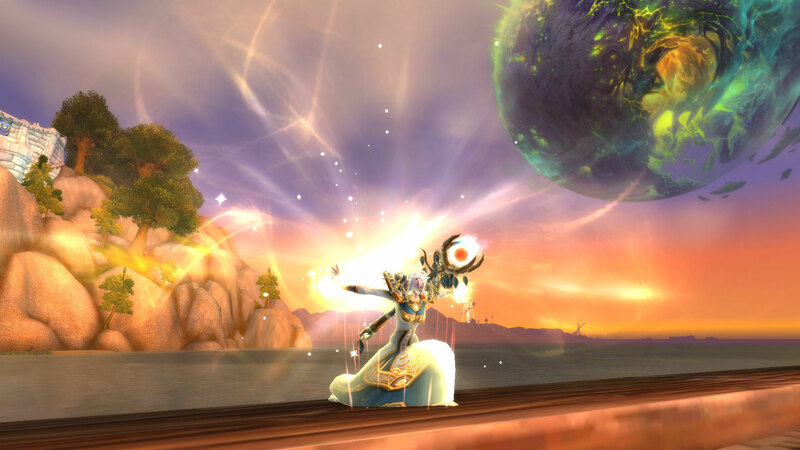 The achievement for Benediction has made her very happy, even to the point that she let Sprout transmogrify Anathema. Playing a Holy Priest today though felt a lot less fun than yesterday. 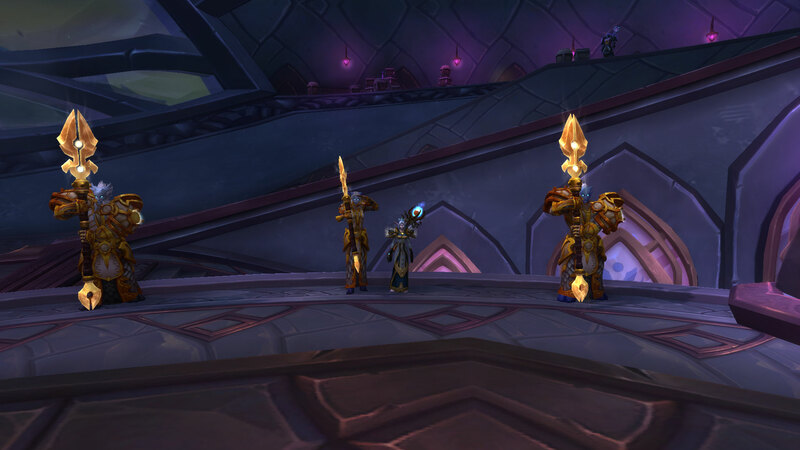 Now part of that is definitely the content I’ve been doing, we did heroic UBRS as a Protection Warrior/Holy Priest duo and then did a couple of the Pandaria raids with the same combination. Mana really wasn’t really an issue even when someone pulled all the first packs of UBRS at once (glares in Warrior’s direction) so I had the talent which lets your single target heals refresh renew. That meant for virtually all of it, I had to cast renew once per fight, then flash heals interlaced with smite spam, holy fire off cooldown and loot. No inept Shadowfiend, no mind sear, no shadow word pain, no power word shield, no fear and no mind vision. I didn’t think I’d miss them but I do. Obviously raid/pvp healing will need more than those 3 spells to sustain a fight but I liked having a tool box bursting at the seams with spells. The removal of Basil the inept Shadowfiend probably hurts the most. Not because he was needed for damage or mana but because I have fond memories of his ineptness during raids. In an ideal world, we’d get a cosmetic glyph which lets Holy Priests summon an “inept shadowfiend” which would bounce around being useless for 10 seconds on a minute cooldown. On the plus side, getting Mind Control back gave me a big smile. I never felt I could justify the talent point on something so specific but it’s fun for duoing five mans at the appropriate level and it’s a great source of amusement in PvP. Finally no more gold missions at the Garrison makes me very happy, okay it essentially paid for my mobile Transmogrification Yak but feeling I’ve escaped them even if it’s temporarily is a wonderful feeling. Having given myself time to take in and digest the Blizzard released and the data mined Holy Priest changes, I have to admit I’m feeling pretty positive about Holy Priests going forward into Draenor. Yes, everything is subject to change but there are some definitely well overdue positive notes in amongst the lists of information released so far. I think this change is long outstanding but if I’m being honest, I’d argue that it doesn’t go far enough. There is still a penalty for being in the “wrong” chakra, albeit a much reduced one. The addition of the new “perk” will help, after all that’s why I hate switching from my PvP gear to PvE because I miss the reduced cooldown on chakras but if Blizzard want us to be constantly and actively switching depending on the fight, then they need to make that as hassle free as possible. 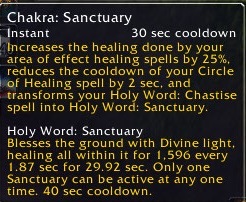 In my ideal world, chakras would lose both the glittery “I’m a Holy Priest, come spank me with your over sized sword” look and ditch the healing increases to single target/aoe at the same time. On that topic, I’d sell someone’s soul for the ability to glyph away from disco lights around my feet, if the Boomkins can do it… why can’t we. What about red, yellow or blue wings depending on your chakra or halos? Something delicate and subtle not smack you in the face and ruin your screenshots brash. These two make me oh so happy. I can’t believe it’s taken so long for the former to be added to the game but will make a massive change to any raid with multiple priests. The thought of seeing Divine Star no longer hitting all 40 people awaiting the gates of AV opening makes me slightly sad but I know it’s a needed change. The level 90 talents, Cascade, Divine Star and Halo. I can’t say I’m particularly concerned about these particular spells gaining cast times. The first Prayer of Mending tends to go out before combat begins anyway and fitting subsequent ones into a routine shouldn’t prove hard. Heal although just to confuse things Greater Heal is now going to be known as Heal. Hymn of Hope – I think we should throw a party for the removal of this one. If Blizzard wanted us standing still whilst we channeled to regain mana, they should have left the five second rule alone. Shadow word Death – becoming available only for Shadow Priests. There was a time when I would have been heartbroken from a PvP perspective but they’ve changed this spell around so much anyway…. plus we might be getting a “glyph” to do much the same thing. Void Shift – I’m a bit surprised at this one only last one expansion but then we already have Guardian Spirit as an “eek” cooldown. Inner Fire – Out of all of these spells, this is the one I’m saddest to see bite the dust. I suspect I know why it’s going but still I almost hope it’s baked into the class. I know there is something fundamentally wrong about cloth wearers having more armour than monks/druids in leather but priests don’t have the same level of mobility and with the cutting back on instant casts it’s all a trade off. Inner Will – Can’t say I used this much once the glow from the first few weeks of Cataclysm receded. Pys-fiend – This talent is being replaced by Fear which will no longer be baseline. 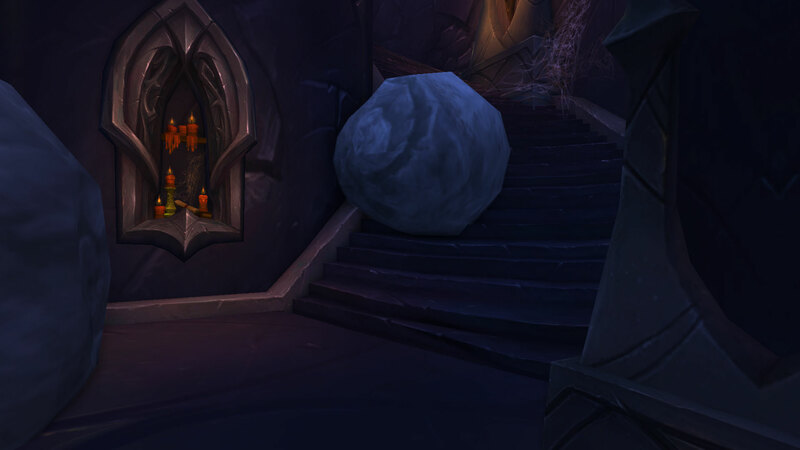 There were some excellent uses for this, namely placing to fear people into the Alterac Valley boss room when they weren’t quite ready but then Spectral Guise and Fear works just as well. Everyone is going to lose some CC and out of that particular tier of talents, this would be my choice to go as it almost mirrors a spell we already have, especially compared to mind control and void tendrils. Glyphs – These are the ones which right now claim to be available for Holy Priests. Again the labeling may change as the testing progresses. Glyph of the Inquisitor – Your Holy Fire deals 25 percent additional initial damage, but 20 percent of that damage is also dealt back to you – Will this break CC, don’t know yet but if it does it could be more than useful from a PvP perspective. Glyph of Guardian Spirit – Guardian Spirit increases healing on the target by an additional 200%, but no longer prevents the target’s death. Glyph of Restored Faith – Leap of Faith pulls you to your target instead of pulling your target to you. There are times when I think this could be exceedingly useful but that’s offset by all the disasters I could see occurring when you forget whether you have this glyphed or not. Glyph of Shadow Magic – For 5 sec after activating Fade, you are immune to Silence and Interrupt effects, but the cooldown of Fade is increased by 60 sec. Glyph of the Redeemer – All your healing is increased by 50 percent while Spirit of Redemption is active. I can’t say I’m squealing with anticipation for any of these but then my love affair with glyphs died ages ago. I keep forgetting to switch them and then bemoaning the fact that I don’t have x or y for a specific activity. For PvP, I do rather like the idea of Shadow Magic assuming it A. makes it to the live game and B. is available for healers. Redeemer I will be refusing to learn on principle because glyphs to improve my performance once dead offend me by existing. The first thing I love about the 90 talents is that they’re different depending on your spec. These are the Holy versions. I particularly find the idea of the last one interesting, given that it appears to be a trade off. Sure, you’ve got an instant “eek” spell but there are consequences for spamming it. Perhaps rather than reducing the number of instant cast spells, that’s how they should all work, cast too much and suffer for it. 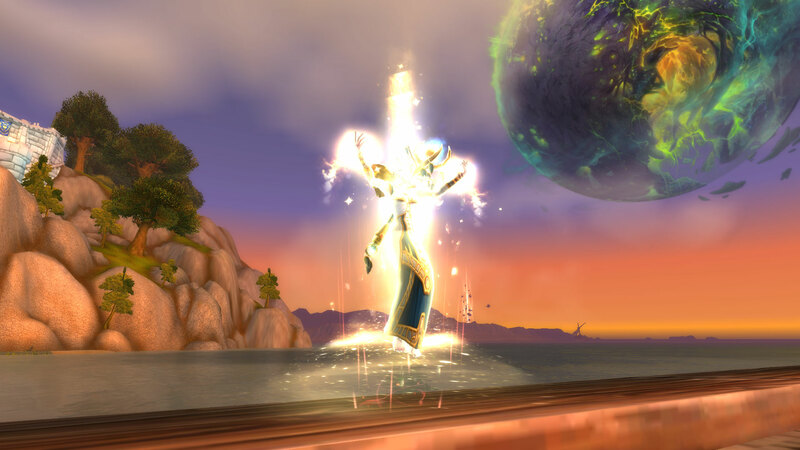 The datamined lists from both WoWhead and MMO Champion for Holy Perks appear the same. Therefore I can only imagine that Penance is a place holder for Holy. These spells which we’re randomly going to gain on the road to 100 are purely there to boost our existing spells. Out of all these my favourite has to be Enhanced Chakras which personally I feel should be baseline anyway but given that it’s not, I’m glad the current 4 piece PvP bonus is staying on in a renamed fashion. The one aspect of these perks I really don’t like and I know it’s temporary is that we’ll gain them in a random fashion en route to 100. Enhanced Power Word: Shield: Reduces the duration of Weakened Soul caused by your Power Word: Shield by 5 sec. Improved Flash Heal: Increases the healing from your Flash Heal by 20%. Improved Smite: Increases the damage from your Smite by 20%. Enhanced Holy Fire: Increases the duration of your Holy Fire by 2 sec. Improved Heal: Increases the amount healed by your Heal by 20%. Improved Penance: Increases the amount healed by your Penance by 20%. Enhanced Focused Will: Each application of Focused Will also increases your damage dealt by 5%. Enhanced Chakras: Reduces the cooldown on your Chakras by 20 sec. All players now have a 100% chance to hit, 0% chance to be dodged, 3% chance to be parried, and 0% chance to glance, when fighting creatures up to 3 levels higher (bosses included). We might be able to glyph to break certain types of CC. Holy will no longer have any way of stopping multiple enemies from capping flags as Holy Nova won’t be available to the spec and our level 90 talents won’t do damage. Yes, we’ll have fear if we talent for it but that’s got too much of a cooldown to much use. Couple this lot with the changes to Healing in general and yes it’s going to be an interesting road ahead but I don’t see anything here which has me going “What are they thinking?” I know a lot of people are still scarred by those first months of Cataclysm but by the same token, the amount of healing certain abilities and spells were spitting out was ridiculous. Not to mention, even playing as a Healer, the amount of sheer health certain classes could put whilst running around in circles is frustrating when you’re trying to kill them. We want players to use multi-target heals, but they should only be better than their single-target equivalents when they heal more than two players without any overhealing. This way, players will face an interesting choice between whether to use a single-target heal or a multi-target heal based on the situation. However, we still want healers to think about their mana when deciding which heal to cast, and so the mana costs and throughputs of many spells are being altered to give players a choice between spells with lower throughput and lower cost versus spells with higher throughput and higher costs. Whether they’ll manage to balance this across all five healer classes still remains to be seen but mostly I’m pretty positive at this point. Sure it’s impossible to know until we actually start testing but we’ve always survived before. All information pulled from MMO-Champion, Blizzard and WoWhead. From the song Stand by Me. I know Blizzard are going to be posting a blog post about the up coming Healing changes either later today or tomorrow but thought I’d throw in a quick post about potential changes first partly because I drafted it a week ago and also because wild speculation is always fun. which only took firm hold in my head later on when I read this on MMO-Champion. Raid encounters will have more interesting mechanics for healers, allowing them to avoid the boredom that comes with just spamming the same skill over and over. I must admit these two so innocent looking sentences when added together have me considering a whole new career as some sort of dpser. For interesting mechanics my mind wanders back to Instructor Razuvious and that sinking feeling I’d get whenever we entered Naxxramas, made ten times worse by the memory of the night where I effectively had to solo tank him due to our other Priest’s mindcontrol deciding not to work whilst our raid was working on Immortality. I think of General Vexaz, a fight I hated as a Holy Priest and who can forget Leotheras the Blind and his inner demons which were a whole lot of pain to kill as healers and of course I think of vehicle fights in general. Now I’m not denying the days of being able to spam Circle of Healing and win were boring in the extreme but I also don’t know many healers who like having the success or failure of raid depend on their ability to deal with “interesting mechanics”. I know we lost healers in Wrath over mindcontrol and also over tank cooldowns because they couldn’t cope with the fallout of timing it wrong and being yelled at by our angry raid leader, they just wanted to stand at the back and heal. In a conversation with my Guild Master the other day, the phrase “interesting times” was used and certainly with every detail which drips out, it seems accurate in the extreme. That’s 21 abilities that depending on my talents and glyph choices I could cast whilst running for my life. Out of that list, I currently have access to 19 (don’t have angelic feathers or power infusion on my Holy Priest) and 9 of them are ways in which I can increase the health pool of other people. Is that too many? Perhaps, I would definitely see no harm in adding a half second cooldown to the level 90 talents. There is probably room for Prayer of Healing and Circle of Healing to merged in some way, perhaps by making Prayer of Healing smart rather than having the party limitation and adding a small cooldown to stop it being spammed. 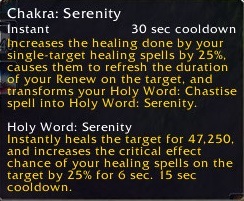 When you’re AoE healing you are unlikely to being either of the instant cast Chakra power words, so they are fine. Tank cooldowns like Guardian Spirit and Void Shift I feel should be instant cast as they should be reactive not cast at x percentage of the way through the fight. The same is true of Leap of Faith, especially from a PvP perspective. Void tendrils/Pysfiend/Fear don’t really have raid uses and shadow word: pain isn’t likely to kill anyone. Holy Nova is little more than a gimmick, I have it because it’s still useful for finding stealths in PvP as well as stopping people tagging flags. which is a much shorter instant cast list. I’m not going to do a comparison for every Healing Class, but thought I’d have a brief look at what’s available to a couple of other classes that I play. I deliberately tried to avoid anything which required cat or bear form but that still left me with 21 instant cast spells from the Druid. Like the Holy Priest a good few of those are utility spells and many match up, for example I suspect shadowfiend is instant cast because innervate always has been. Mass Entanglement too might be further down the tree than Void Tendrils but the two spells are very similar in every way apart from graphics. Of these stampeding roar and nature’s grasp definitely shouldn’t have cast times in my opinion as this negates their purpose, i.e. helping you escape. We’re removing it because of the bad gameplay it provided, despite its power. Healing Sphere was spam clicking on an intended target’s feet, trying to account for their movement and latency, tight hit area. Which personally I disagree with, never having had issues and would rather be in control of where I place my healing tools so that there is a small chance people other than myself will actually use and benefit from. It would also make the current Proving Grounds somewhat harder for Mistweaver Monks. I find the fact that Summon Jade Statue is instant cast when Lightwell has a cooldown interesting but mostly these spells fall within definite categories. Each one has a hot of some sort, spells which deal with mana regeneration, i.e. innervate, shadowfiend, power word: solace tend to be either baseline instant cast or have the ability to be modified in that way. All single target dispels are instant too and so are movement modifiers whether that’s clearing snares like Nimble Brew or just increasing speed like Stampeding Roar, Roll or Angelic Feathers. These lists are actually longer than I expected them to be given these are just abilities you can cast whilst moving and perhaps more importantly, they highlight the fact that too much choice can sometimes be a bad thing, especially when it comes to balance. I’ve been watching a quite a few PvP streams on Twitch lately and whilst you tend not to notice it when you’re the one running around chased by three male Bloodelves all wearing plate, carrying very big swords and spamming /lick macros, one grumpy Orc who can’t stop spitting and a gossip of Goblins, spectating on PvP shows just how much of it is done with instants these days. In fact I suspect that’s the issue, each expansion has seen huge amounts of interrupts and crowd control given to every class and in order to counter that, everyone has been given instants to actually be able to cast something. Pare back the control and there is much less need for instants in any aspect of the game. Slightly late to the party but this weekend, Sprout intends taking on all comers in the Brawler’s Guild. My self-imposed challenge however is to do it as Holy or die trying! No doubt the latter will definitely happen more than a few times but I think with a bit of practice some fights at least will be possible and making the attempt is half the fun in it’s self. 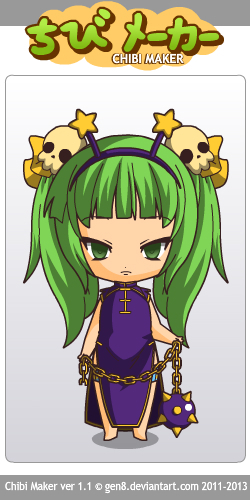 So without any further ado, introducing Brawler Sprout! Nothing seems to divide Holy Priests like Chakras. I know people who have quit their Priests all together over them, Priests who have gone Disc or Shadow because of them as well as plenty of Priests who have stuck with Holy but tend to pick their Chakra and stick with it regardless of their circumstances. My focus today is PvP but a lot of what applies here can also be used whilst dungeoning and raiding. First of all, know your “enemy”! Now I deliberately didn’t include the third Chakra and the reason for that is simple. Chastise is our default ability if we aren’t in a Chakra at all. So lets say I’m in Serenity and I have been for a while, all I need to do to throw a disorient on that pesky Holy Paladin over there is leave Chakra state, cast Chastise and then re-enter Serenity immediately incurring no real penalty (ok Chastise hits for less but…..). You do need to hit the macro twice to get the disorient but it leaves whichever of the two Chakra states you’re in and then will stun either your mouse over target if you have one or your actual target if you don’t. I’d definitely recommend using a macro because in hectic pvp combat the last thing you want to be doing is trying to right click off the right buff whilst the person you want to disorient is trying to smash your face in with an axe. So with the basics covered, what I do use and why? Well my general rule of thumb sees Serenity as my go to Chakra for most things pvp related. I’m a great fan of casting on the move (you can tell I was a Resto Druid in a former life can’t you) and given that in most pvp, standing still just makes you an easier target, you can’t beat instant cast abilities. Being able to dance through and behind your enemies throwing out heals can make a huge difference on your time to live and that of your team-mates. Also if you’re left alone, Serenity is definitely where it’s at. That instant heal can and will save your life over and over again. On entering the boss room to take down the opposing boss I switch because with his leap, every little bit of aoe healing counts. If we’re winning by attrition and camping the graveyard, i.e. everyone is grouped up in one place with lots of people taking damage, I switch. End bosses are an obvious choice for Sanctuary, especially if you’re forced into pulling with towers up. Any huge face offs on the road, i.e. by Iceblood graveyard or between Stonehearth and Stormpike, using Sanctuary is a potential option. It depends whether you’re just championing one person, i.e. a warrior/deathknight or trying to keep the masses alive. As for Arenas, given that I only ever play 2 v 2, I tend to switch between Serenity, no Chakra at all for the disorient and then using Chakra: Chastise if I need to nuke. Are you sticking with the vast majority of the team or are you off either solo or with a handful of others. Then consider Sanctuary for the former and Serenity for the latter. How many opponents are there? Lets say for example that you and a rogue are attacking the Farm in Arathi Basin. There is just one defender but you know that this team have been fairly good at communicating thus far. Do you stick in your healing Chakra or do you switch to Chastise for the extra bit of oomph? After all, the faster they die, the quicker you can tag. Is anyone focusing you? Serenity all the way then. Macro cancelling Chakra and disorient early and often. The more CC you can provide, the less healing you need to do. Consider things like Chastise – > Mindcontrol for defending the Lumber Mill in Arathi Basin or in 2 v 2s. Not only is it annoying, it’s also effective, especially if you follow it up by parking the person next to you and then fearing them. Serenity normally beats Sanctuary unless the opposing team is kindly focusing on aoeing down your team at roughly the same rate, you aren’t taking huge amounts of damage yourself and you don’t like anyone else in the team enough to focus them with lots of single target heals. Chakra: Chastise has it’s place. I use it in scenarios, 5 man groups in which people don’t stand in bad and the tank actually uses cooldowns and for nuking demolishers in Strand of the Ancients. It can also be handy in one v ones against certain classes (i.e the ones which don’t currently hit very hard themselves) as long as you’re ready to swap back to defensive mode Serenity the second they get a mate. The other thing to consider is how many healers are on your team. If I end up in a healer heavy side and no one has the gear/spec set up, I’ll use Chastise for dps, especially to help kill flag carriers whilst the others heal. My Dps isn’t awesome but I’ve never come bottom yet although in random battlegrounds that’s perhaps not surprising. Above all, don’t be afraid to play around with them. Also I have it on good authority that chastise the disorient is cheating (rich coming from a Paladin :p) so use it often!